What authority, if any, does the U.S. government have when it comes to religious rituals like prayers? The Engel v. Vitale Supreme Court decision of 1962 deals with this very question. 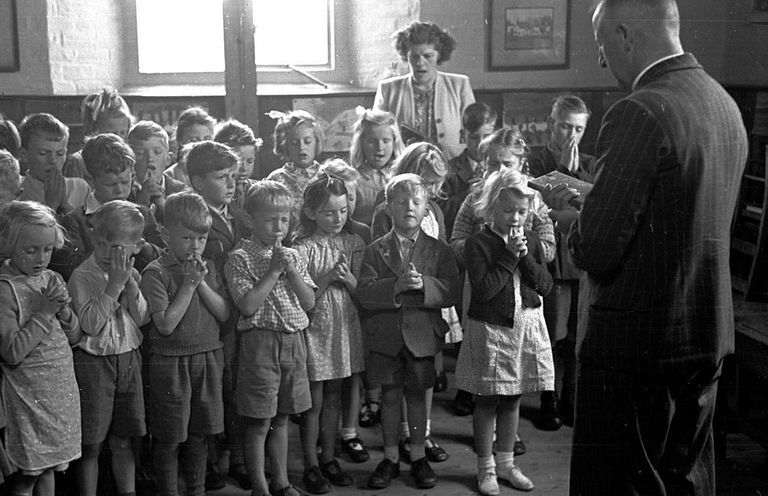 The Supreme Court ruled 6 to 1 that it was unconstitutional for a government agency like a school or government agents like public school employees to require students to recite prayers. Here's how this ultimately important church vs. state decision evolved and how it ended up before the Supreme Court. But some parents objected, and the American Civil Liberties Union joined with 10 of the parents in a suit against the Board of Education of New Hyde Park, New York. Amicus curiae (friend of the court) briefs were filed by the American Ethical Union, the American Jewish Committee and the Synagogue Council of America supporting the lawsuit, which sought to remove the prayer requirement. Both the state court and the New York Court of Appeals allowed the prayer to be recited. Richard Engel was one of the parents who objected to the prayer and filed the initial lawsuit. Engel has often said that his name became part of the decision only because it came ahead of the other parents' names alphabetically on the list of plaintiffs. Engel and the other parents said their children endured taunting at school because of the lawsuit, and that he and other plaintiffs received threatening phone calls and letters while the suit made its way through the courts. The decision was 6-1 because Justices Felix Frankfurter and Byron White did not take part (Frankfurter had suffered a stroke). Justice Stewart Potter was the sole dissenting vote. "Neither the fact that the prayer may be denominationally neutral nor the fact that its observances on the part of students is voluntary can serve to free it from the limitations of the Establishment clause." What Is the Establishment Clause? This is the portion of the First Amendment to the U.S. Constitution which prohibits the establishment of religion by Congress. This case was one of the first in a series of cases in which a variety of religious activities sponsored by the government were found to violate the Establishment Clause. This was the first case which effectively prohibited the government from sponsoring or endorsing official prayer in schools. Engel v. Vitale got the ball rolling on separation of church and state issues in the latter half of the 20th century.